As you may or may not know, I just recently turned 22. This has been a transformative year since 21, and I’ve made lots of progress, both personally and financially. My business has grown, my worldly wisdom and awareness has increased, my knowledge from books and experience has compounded, and I’ve learned a ton about myself. I’ve developed a very robust internal approach to getting better with my self-talk and progression. Part of this has been accomplished by cutting out excuses from my daily experience, and for my 22nd birthday, I’ll highlight 22 excuses that need to be forever deleted from your mindset and vocabulary. To get a crack on these excuses, you can simply watch the video above, or dive right into the text. Whenever you find excuses that resonate with you current situation, do the work to eradicate it. This is a long list of excuses. I don’t expect you to have them all, or to work on them all right away. However, it’s almost guaranteed that one or more will ding a little bell in your mindset, needing more work and re-visits. Bookmark this page, save the excuses that remind you of something you’ve been hiding, and get to the internal self-work to fix them. Fear is a mighty force that you can leverage naturally, to propel you towards what you want. Use your fear to push you from behind, and do the thing, despite the fear. When you boldly step into your fears, you’re telling yourself and the world that you cannot be stopped. You should be regularly fearful, because you should be regularly growing. Natural growth advances fear because the fear of the unknown is very real. Push through anyways because that is your proof of growth. The first of the 22 excuses is one of prime importance. Neither does anyone, until they make time. Everyone is busy doing something, even if it’s just being busy wasting time. Time is an elusive outlet that will evade you, especially when searching for new things to do. It takes more force to channel energy into something new, because you’re taking energy away from something that’s in motion; simple physics. People who don’t have the time, just make it. They set aside time for the things that are important to them without the excuses. When someone says they don’t have time, all they mean is that they’re not willing to make the time for that activity. They don’t have the time for that new thing, because their time is filled with something they did make the time for. So do millions of people in the world. When people have families they need to support and take care of, that should be even more of a motive to push them to greatness. Why not offer your kids or spouse the absolute best life they can handle and be the best person you can be? Let them be part of your motivation. Using your family as a progress-block is just a weak diversion from the truth, which is either your fear or laziness. You made the choice to create a family, now make the choice to give them and yourself the absolute best life that is possible! No one knows how to do anything until they learn it. Absolutely everyone on earth who is good at anything started as the most novice beginner. People learn bit by bit how to do things and do them well; it’s not a natural talent. Only natural inclinations exist at young ages, but even child prodigies have to put their thousands of hours in before they’re even adequate at what they do. To reach the mastery level, it takes much more than this. Qualities like sheer focus, determination, drilling the fundamentals, and consistency help build “talent”. Failure only happens when you quit. Everything else is considered paying for a lesson, or going through an expensive but necessary learning curve. How do you expect to be amazing if you’re scared to get started? Be thankful if you fail because it means you’re one step closer to your ultimate success. On the road to success, you’re going to be presented with tons of setbacks, obstacles and challenges. These are just tests to see if you’ll keep going. If you pass the tests, and you deserve what you want then you get it. Striving for perfection is a long shot and not attainable for us. It often stifles our progress when we think everything must be perfect. Arguably, the only perfect thing is nature, and if we frame what we’re doing and how we’re doing it as perfect, we can change the mindset looking at it and see perfection in the whole development process. Do not wait until everything is perfect before you launch or begin, because it never will be. This will just fuel procrastination. This leads us to the next point! This is a weak one because there will NEVER be a ‘right time’ to start up what you want. You must simply go after it when you have the idea and start implementing. If you don’t get started now, you’re not getting started later, because you’ll use the same excuse then too. Waiting for perfect timing is like waiting for miles of traffic lights to be green at the same time before you begin your trip. It will never happen, so stop waiting for the moment. Make a time be the right time. Ensure that this moment is the best to start it and that you will figure it out along the way. That’s because you must develop the skill. Beat on your craft. Hustle in peacetime! You aren’t good at X or Y because you’ve never done those things in your life. Start making a habit of getting into the flow, the vortex of creation, and before you know it you will master fundamentals. When you master fundamentals, you expand and get better at those and can start really having fun with getting better, quickly. Life is growth and growth is life. Grow or die! They say “get busy living or get busy dying” and that’s true now as it ever was. At any given moment, you are moving towards something and away from something else. If those aren’t in the balance that you want, change it, because it’s in your power to. This is a great productivity killer, because by not making a choice, you make a choice; my pops used to teach me that one. If you waste time because you’re unsure, you’re copping out of responsibility so you don’t have to face the hard questions. Either option is very powerful for the long run. They both move you closer to what you want, believe it or not. Said no focused and successful person ever. If you’re keeping every option open, you’re saying “maybe” to every option or opportunity. This does not help you grow or learn or get great at any one particular thing. Choose one or two opportunities that you will grind on, and commit fully. This is the only way you can actually be amazing at them, not if you just wait and waste time, looking to see if some golden writing appears to you on a wall on the third Sunday in July. You don’t need to be inspired or motivated if you’re working on something you’re in love with and want to move forward every day. You want it to be hard. If “it” were easy, everyone would be doing that specific thing and making money easily, living the life they really chose. Fear is a killer and it stops everyone in one form or another. If it were easy, you would have many more people living in a completely unique fashion instead of settling for decent opportunities. Decent and average would be things of the past. These are hard things to leave behind so many people stay stuck. Be glad that it’s hard, and be thankful for your struggles. Sorry to be the grim reaper here, but no, you don’t. Let’s optimistically assume you’ll live to be 100. That’s 36,500 days in total. Subtract your age in days from that time, and how much do you have left? Personally, I’ve got around 28,470, assuming I live to be 100. I could die this week! Hopefully it will not happen, but there’s no way to know for sure. So how old are you, 25, 30, 60? Either way the time is ticking. There’s no time like the present and there is no way to know how long you’ll be here. Why not build only what you want, and settle for nothing less while you’re in this world? This is one of the most defeating of all the excuses. Do you realize that you’re completely different from anyone else, and what you have to offer is unique? There is no competition for being your authentic self and reaching your highest potential. And if you’re in a strictly business environment, with saturated markets, can you offer the product in a different light? Can your value offering far surpass everyone else? Could you take a different marketing approach? Can you niche down? Can your copy, images, listing, product or brand image be far superior? You bet. No matter what, you can bring something unique to the table, even if it’s just attacking it from a different angle. Don’t ever compare your stage one to someone’s stage 32. When you set the framing this way, you are prepared to feel either cocky or inadequate. This is because you can be on stage 32 looking back at someone’s stage one and be cocky, or you can look ahead to their stage 32 while you’re on one and feel bummed. It goes for the gym, wisdom, mastery and martial arts like Jiu-Jitsu. Simply appreciate and respect the people that are far ahead of you, and help the people who aren’t as far as you. Sliding down the slippery slope of who’s better and further along can be dangerous to a fragile human ego. Instead, take the ego out of the equation and genuinely progress everyday no matter what. There are abundant and ample opportunities, everywhere you look. Again, this is a matter of framing. See the world as abundant, and your reality will become this way. See the world as scarce and dangerous, and your reality will become this way. I usually don’t emphasize two lines in a row, so pay attention! That part is worth its weight in gold. It’s all about how you see things. I have personally come across MANY people, in similar business models / markets that I am crushing, say there are no opportunities. I’ve seen people rule out entire business models, or courses to teach those models, that they have personally failed in. The difference in people who see abundant opportunities lies in their results. Careful who you listen to. Everyone’s experience is subjective. Don’t listen to the doomsday people, especially in business. The people actually seeing results are too busy acting on opportunities to sit back and complain that there aren’t any. “No opportunities” is an absurd and irrelevant statement. The world is what you make it, my friend. That is simply because you haven’t put in the time. You haven’t developed the habit of it. Do anything enough times and it becomes habit. The more you do it, the more confident you become at it, and the better you perform. Mustering up the strength to say and carry yourself in a way that says you’re good enough is a skill in itself! Don’t expect to be amazing at anything just at the start, that’s just not how it goes. However, you absolutely can cultivate this ability. Even big guys can be beat out by little guys, as evidence in martial arts, price wars, and innovative business practice. First starting out on my journey, I built a niche site that was in direct competition with Amazon, and I still stole sales from them. I was able to cultivate a community feel and a very narrow focus on specific products. 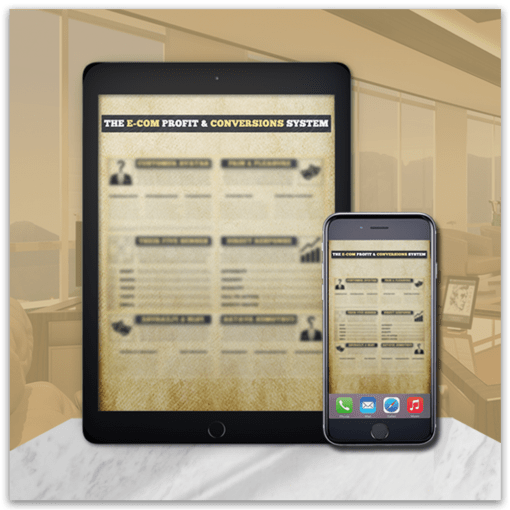 I offered more value through explaining the product and ensuring the customer of benefits and possibilities, with better images, and a more personalized feel, and fantastic and personalized customer service that corporate giants couldn’t offer. If you’re not ready to fight for the sales, you’re not fit for business. Competitors used to pack up shop and leave town when a new Wal-Mart hit their city. There were still loads of ways they could have offered better service, unique products, brand experience, shopping experience, value offers, follow-up and more to create a loyal base. They didn’t. They took the easy way out and surrendered. Don’t let this be your approach. Nothing anywhere says that you have to let your past define you. You failed in the past, so what? Everyone has. Whether you get up and keep running is a true testament to your character. You can start right now and evolve into a completely different person than you were even 24 hours ago. It takes time to adjust, but you can set your trajectory on a different path with will, focus, proper education, and determination. Anything is possible, so don’t let your past trip-ups define your future. Visualize successful results happening due to the action you take, and act on the process. This is similar to not making time. You have the time, but you assign it to what you’re busy with. Maybe you have a job, or three! That’s time consuming. But could you carve one hour out of your day to start doing what you love? Yes. Could you sneak 20 minutes of reading in on your lunch break while you eat? Yes. The doer is always “busy” with the things that matter, and always willing to commit the time to hustle for what they want. There’s no stopping this type of person because they have eradicated excuse-talk from their vocabulary. … Says the person not doing anything, to the doer. The doer is always making the impossible become real. The doubter and the unsuccessful person will say it can’t be done, while the hustler is in the background creating the impossible out of thin air. If you think it’s impossible, you haven’t even figured out what you could be doing with the time, breath, and energy you’re wasting spreading that nonsense. It takes money to make money right?! Surprisingly, and especially with where the Internet is these days, businesses can be started with EXTREMELY low overhead. My first business was started very lean with less than $100. I paid around $250 for a course that taught me the business model itself, but the actual costs were next to none. I was able to build that E-commerce store to a very successful level for a first business, and then I paid some dues shortly afterwards by failing miserably. It’s the ups and downs of entrepreneurship, and this is one of the massive myths: that you need money before you start something. A determined person will always find the way, the time and the money. If you need to find an extra side income to fund your dreams, do it. But whatever you do, don’t make an excuse. You can bootstrap your way, reinvest your profits, live frugally, and grow massively. You can get outside capital, but it’s really not recommended at the start. Chances are, you’ll have no idea what you’re doing at the beginning, and that’s where many mistakes are made. Literally, go out, do something that you think is relevant to the cause. It might not be right, perfect, or even in the direction you’re looking to take it! But you will gain one very important thing: clarity. This will help you dial in your goals and track your progress because you’re not stagnating anymore; you’re in the flow of action. Everything becomes so much easier and more attainable when you’re in the flow of action. Not just taking action for the sake of being busy, but taking focused action that is measured by your results. Frequently track your progress, learn, and push forward with speed. If you aren’t sure where to start, just get going, and the clarity will soon come to you in a more efficient way. The hardest part is getting started and gaining momentum. I want you to picture a boulder being rolled down a hill. Even at the top when it’s just sitting there, it’s hard to get that thing in motion. But once it picks up a bit of speed, the results are exponential and things compound on themselves rapidly. Ultimately, your new vocabulary should include not one of the excuses above. Whatever you have to weed out, you must learn to do it, step-by-step, until each one is only a laughable past memory. Doing this will empower you to the nth degree and ensure that you reach your success faster and smash through goals with less personal resistance. Often we are one of our own biggest roadblocks, without even knowing it. Recognize this fact and set out to change it right now! Get out of your own way. Eradicate all 22 excuses from your vocabulary and mindset, and any others that you may harbor. You might not even know they’re there. Do the internal work and reflection necessary to hunt for, and kill, any excuses hiding in the darkness. Conquer the enemy within, and you conquer the world.